I view any website or copywriting project as an opportunity to get to know someone new - I've been slow to automate my processes with questionnaires in favor of having conversations, which tend to get to core purpose and passion in a way that nothing else can. To give you an idea of how deep these discussions can get, I can tell you that I've had clients shed a few tears as they talk about their life's work and their goals for the future, about their why (and I've definitely cried too). This can be emotional territory, communicating with potential customers and clients the reasons they should work with you or buy from you. it is you they are working with or buying from, so you are the most essential piece of design inspiration that I have to draw from! The Scanagatta family needed a website as glamorous and luxurious as the scarves they create. With beautiful subjects, gorgeous photography and strong copy, plus the organizational prowess of Jay at Pale Blue Pencil, we pulled together a website that is as classy as it is functional. Karly Siroky’s project was a truly challenging - and truly rewarding - website building experience. I came face-to-face with the limits of my knowledge, and pushed them further than I ever thought possible; I acquired new skills in CSS that I have carried with me into all of my subsequent projects. Working with a graphic designer on her dream website means taking all of the beauty of the brand and providing a frame for the essential, then translating all of that delicious content into an online home that authentically reflects both her technical expertise and sheer gorgeousness of her work. This site is Karma's business card, and I am so honored to have been trusted to design it! 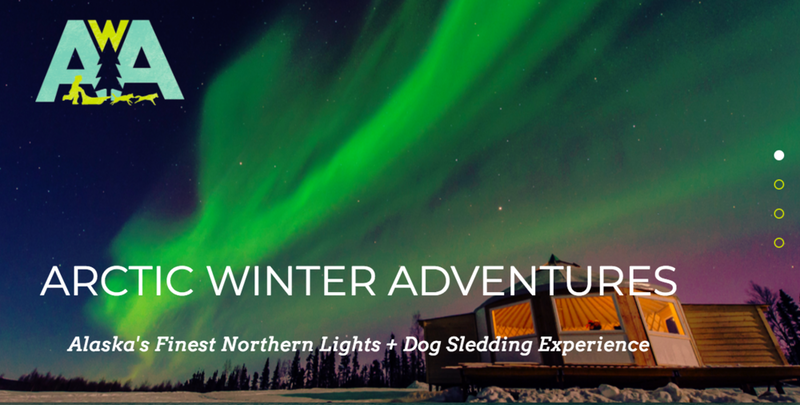 A bit of a departure from the ordinary, Arctic Winter Adventures founder Sven Haltmann came to me through Karly Siroky, graphic design powerhouse at the helm of Karma Design. This was such a fun project - super high-energy, great images to work with, and it certainly woke up my travel bug; I'm itching to see these sights first-hand as soon as possible! I met Zakiya Cita at my first Business Among Moms meetup; founder Julie Fry had already told me I needed to talk to her, and when she made her short presentation, I could see why! I mean, come on - look at that mission. We went for coffee, she told me about her business (textile repurposing, reusing and recycling - very much aligned with my own personal value system), and when she mentioned she needed a new website, I jumped at the chance (and I love how it came out!). Bold, fun, and colorful - just like Zakiya. Kelli Lyles has so much beautiful, bright energy - I felt that it was time for her to have a website that glowed as much as she does. She came to me knowing that she loved trees in autumn, a setting sun through leaves, and wanted to use nature to illustrate the balance that we all seek as we are born, live, and die. She's a gifted and funny counselor and educator with heaps of empathy, and I cannot wait to see how she transforms her business in this next stage of growth! I can't begin to describe how much fun I had working with Shirley, a Santa Monica-based medium and empath. We wanted to create something together that reflected the energy, pizzazz, and humor she brings to every conversation. I'm so thrilled with how the site came out - it's a work in progress (we'll be adding a blog and additional photography), and I look forward to continuing our collaboration for a long time! When I met Amy for the first time, I could immediately see why people would love having her as their coach. She's so warm and open, and hilarious - and really fantastic at taking a holistic view of any given challenge. I wanted her site to help cultivate a sense of trust and security. We had the opportunity to take our time and get to know each other well, and the content and design unfolded naturally and gracefully. Davis Arneil Law Firm came to me as a referral from a previous client (Lazar Marketing). Up to that point, I had typically worked with creative entrepreneurs, coaches and counselors, so this was a departure, and a unique challenge. It was also an opportunity to collaborate with Flourish Collaborative, an eye-opening and awesome experience. After they completed their 6-week branding process, I had a beautiful canvas with which to create a gorgeous website that sets them apart from other law firms. A true labor of love, I designed this site for Shop the Change, the startup of which I'm a co-founder! It was important to me that this site be a jumping-off platform for all of the exciting work we're doing behind the scenes - developing an app that helps people engage in social change through shopping (something they have to do anyway! ), and an online community that supports the sharing of knowledge, advice, and product reviews among like-minded people!